This event is the only beachside festival in North America for the commercial creative industries, championing craft and delivering on its founding mission of elevating advertising to the same standards as fine art. It’s incredible what ADC Executive Director Ignacio Oreamuno and his team put together for 300 creative professionals. ADC has its finger on the pulse of creativity. It understands the intersection of art, craft and inspiration needed to take creativity to the next level. To find out more about ADC’s mission, check out adcglobal.org. Let’s Make the Industry 50/50… But Why? This feature was originally published in Issue No. 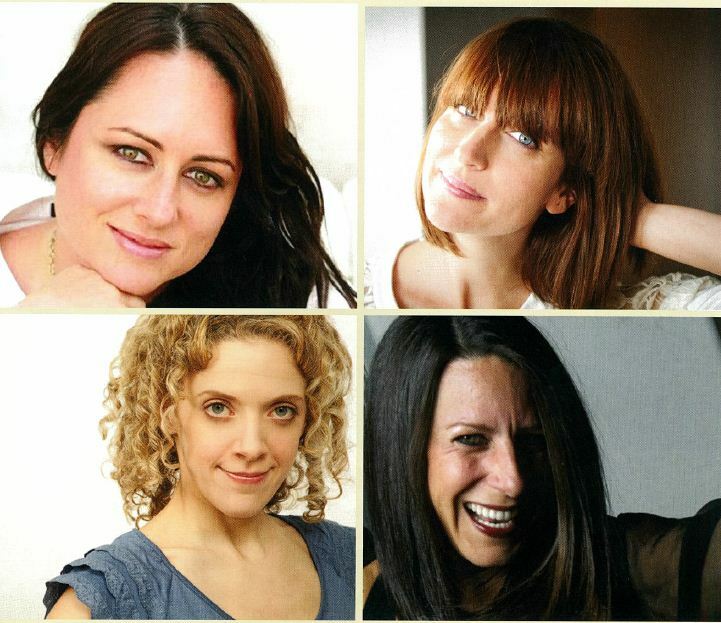 4 of ADC Magazine. 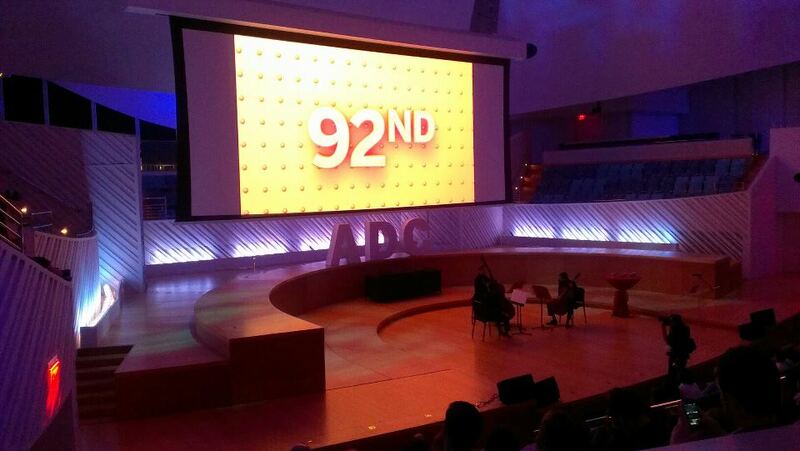 In reflecting upon the ADC 92nd Annual Awards season, Executive Director Ignacio Oreamuno realized that an organization like ADC is in a unique position to raise female voices in the creative industries. If not a Club with a mission to Connect, Provoke and Elevate its membership and international communities, then who? Ignacio assembled a committee of brilliant and accomplished women to help him develop the initiative and, with their support, challenged not only ADC and its programs, but any others industry-wide to split its award show juries, conference speakers and panels, and board of directors 50/50 women to men. ADC: While it does not directly call out equal gender hiring quotas, how can an initiative such as Let’s Make the Industry 50/50 – in calling for equal representation among awards juries, speaker panels and boards of directors – positively affect the roles and opportunities for females in the creative industries? MANDY GILBERT (FOUNDER & CEO, CREATIVE NICHE): It’s crucial to remind key stakeholders in the creative industries of the value women bring to creative strategic and leadership roles. Not only do women offer unique perspectives on brands, consumer behaviors and business relationships, they also have a different approach to leadership and team management that complements and even improves the effectiveness of executive leadership teams and boards. Case in point: A recent McKinsey report found that companies with more women than men on their executive committees exceeded the return on equity and operating results of companies with male-dominated executives by 41 percent and 56 percent, respectively. With that in mind, it’s necessary for current agency leadership to take this into account when they look at their future business prospects. While this initiative does not directly call for hiring equality, it does highlight the wealth of qualified available female creative talent by ensuring their voices have a place on panels, juries and boardrooms. With nearly 60 percent of today’s university graduates being female, agencies will be left behind if they don’t fully embrace women in leadership roles who will be able to inspire the young women entering the industry behind them to do the same. ADC: With the network of talented and qualified female creative being much larger than perceived, what seems to be the barrier to women rising into positions of leadership and how we can overcome this together? ALESSANDRA LARIU (CO-FOUNDER, SHESAYS): For centuries, leadership positions were filled by men and, therefore, women’s leadership style (which tends to be more nurturing and collaborative… but not in a fluffy way!) has remained unrecognized. Just ask Forbes, Fortune or even Google, and you will likely hear that companies with women on the board perform better. And just to be clear, I don’t think women’s style is better than men’s. I believe there needs to be equal representation and availability of both styles, so people can choose which one they like. ADC: What role do industry award shows specifically play in increasing awareness of the discrepancy in gender representation in juries? JEN LARKIN KUZLER (DIRECTOR OF AWARDS PROGRAMS, ADC): The assumption is that award show juries reflect the current state of the industry through the creative, companies and countries that are represented. While this is largely the case, there is often a real lack of female participation. Awards shows in particular have a unique opportunity to involve qualified, spirited and talented minds of both genders in the judging process. We have the ability to call out the places where we need diverse voices to effect a change in the conversation that happens behind the doors of the jury room. This change in dynamic almost always results in a better experience and a better show. ADC: What can women and men in the creative industries actively do to ensure that female voices are represented at the table (conference, jury, board or otherwise), in the media and within their own agency walls? SAMANTHA DIGENNARO (FOUNDER, DIGENNARO COMMUNICATIONS): The creative industry boasts so many talented women who deserve the opportunity to be recognized as leaders. Endemic shortcomings surrounding our industry’s dearth of senior-level female talent aside, we must continue to encourage all of our wonderful women to stay active despite – or, perhaps, because of – the majority of male voices in management, in the press, on the speakers’ circuit and in jury rooms. As an industry, we’ve taken some bold steps to even the playing field and to encourage female participation. Now it’s up to individuals to advance the cause. Women and men alike need to speak up and engage in the on- and off-line dialogues surrounding this industry’s advancement of female creative and C-level execs. Don’t accept the status quo. Challenge conference/jury programmers and journalists who seem to defer and default to the “usual suspects” of recycled names. Let’s nominate our peers, our direct reports, our muses, those who inspire and excite us. The most important outcome is that we continue to have representation of all different life experiences and points-of-view… and to close the gender-gap in doing so. When both men and women truly recognize the powerful ideas that so many women bring to the table – and remove corporate politics and jockeying from the equation – no one will second-guess the decision to hire and promote more amazing ladies more often, and then we’ll start to close the gender gap in our industry’s public forums. I’m delighted the ADC’s Let’s Make the Industry 50/50 Initiative has begun to do so. The Art Directors Club held its 92nd Annual Awards competition this past week in Miami Beach to honor the best work from around the world in the interactive, advertising, design, motion, photography and illustration industries. ADC Design Firm of the Year: Dentsu Inc.
Former ad exec and now entrepreneur Cindy Gallop was the Master of ceremonies. This year’s winners represented 23 countries, demonstrating the ADC’s dedication to finding the best creative talent across the globe. Gold, Silver and Bronze work will be sent on a worldwide tour—from New York to Sao Paolo and numerous venues in between—through the ADC International Annual Awards Exhibition. Design-driven production company Buck won the third-annual ADC Designism Award, which honors work that drives social or political change. Buck’s work entitled “Metamorphosis” was a promotional campaign for Good Books. To view the complete list of all ADC 92nd Annual Awards Gold, Silver, Bronze, Merit, Student and ADC Designism winners, please visit http://www.adcawards.org/92ndgalawinners/. Judges included Naked Creative Partner Fernanda Romano (Interactive Jury Chair), Droga5 Executive Creative Director Ted Royer (Advertising Jury Chair) and Founder, Prologue Films and co-Founder Imaginary Forces, Kyle Cooper (Motion Jury Chair).